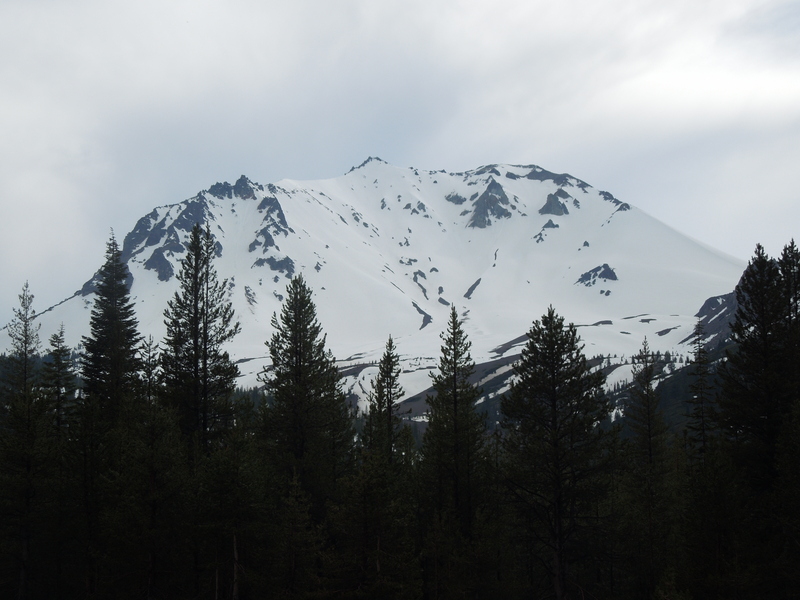 Lassen Volcanic National Park, CA – Early May, 2013 | Going out is really going in. Lassen Peak still dozes under its winter white sheet, but springtime is waking up the rest of the Park. 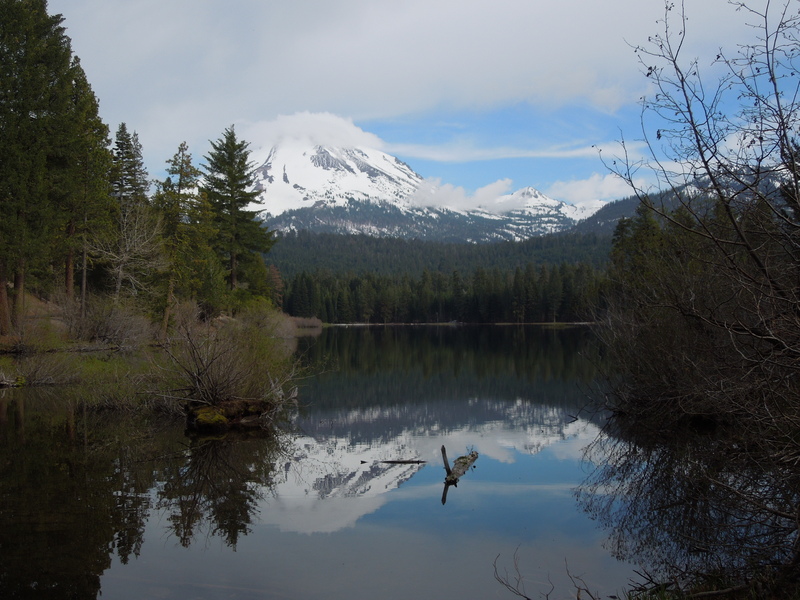 There is no snow at 5,000 foot Manzanita Lake, so you could hike the easy trail around its shores today. Park staff projects the road through the Park will be completely open for the season in time for Memorial Day weekend, so it won’t be long before going out and going into the Park will be possible from anywhere along its route. Get ready for a long and lovely hiking season in one of California’s beautiful National Parks! « Glacier National Park, MT – The Same Lake Twice? Thanks for the picture! We’re thinking about skiing the NE Face this week. Could you post more pictures showing the conditions heading up to Lassen Peak from Devastated Area? How far do you think we’ll have to carry our skis? Good luck with your skiing adventure! I don’t have more photos that would help you, but I know it’s tough going to get up the peak from the Devastated Area.